You don’t need glass to have a window. 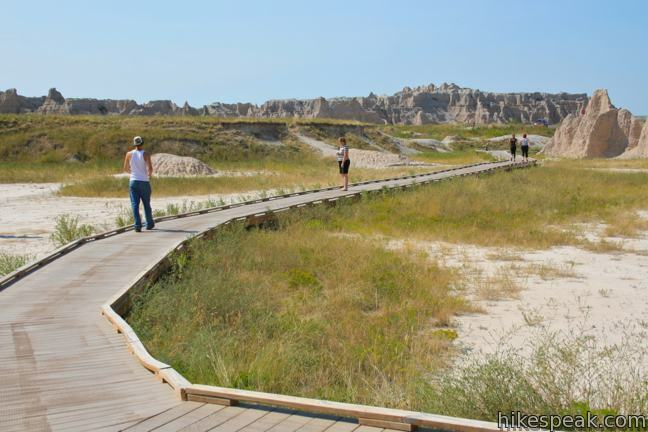 All you need is a large opening like the one found in Badlands Wall at the end of this short trail in Badlands National Park. Window Trail is a quarter mile round trip with just ten feet of elevation gain – an easy hike that is suitable for all. 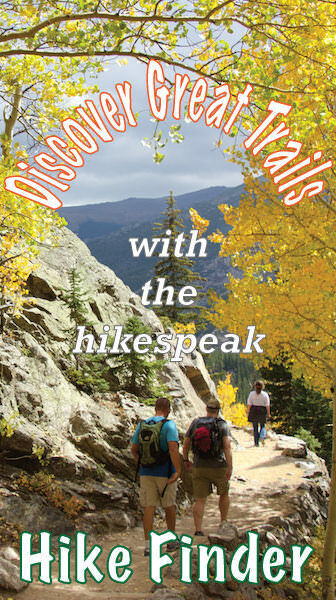 Three hikes begin from this trailhead, Window Trail, Door Trail, and Notch Trail. 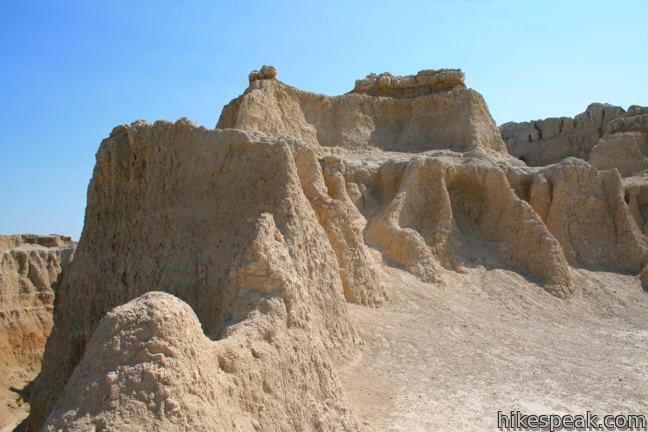 Each penetrates Badlands Wall, an imposing 100-mile long ridge spanning across the South Dakota plains. Window Trail is the easiest of the three, taking you a short distance from the parking area to a gap in the ridge. 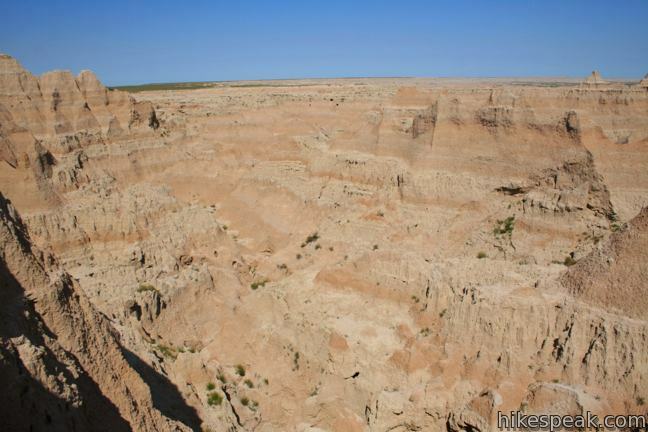 From the window, you can look out over rugged terrain and down into an orange canyon of eroded sediments like sandstone. 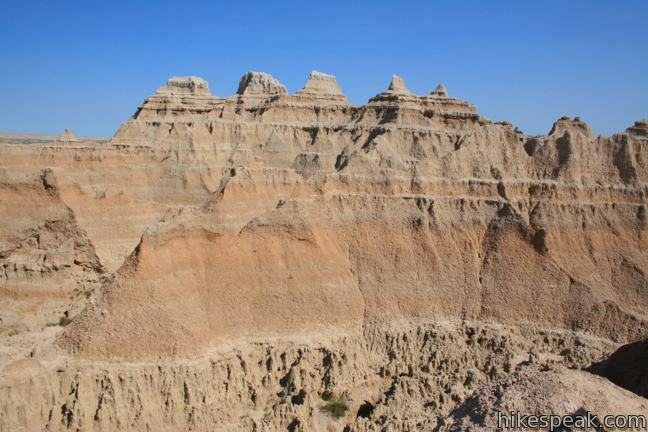 The view from the window is pure badlands. 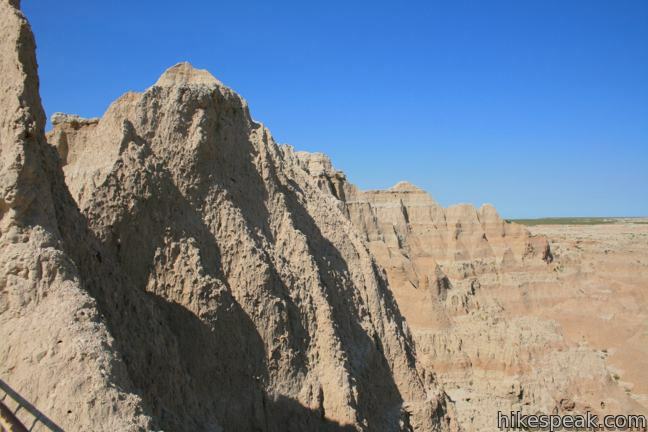 If you are driving through the east side of Badlands National Park on Badlands Loop Road (Route 240), take a quick break to visit Window Trail. 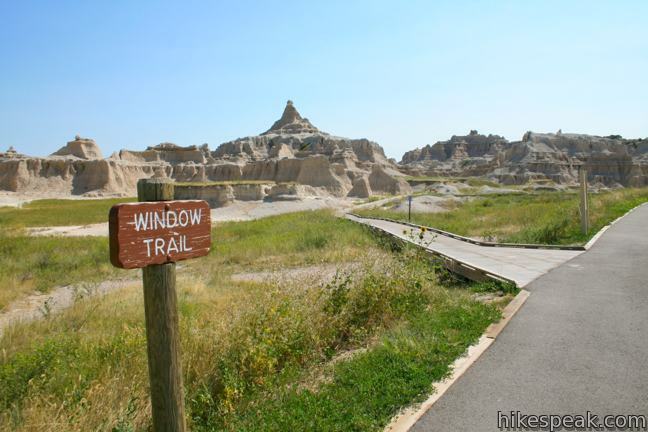 If you are hiking another trail in the area, it is worth adding Window Trail to your itinerary. Window Trail only takes about five minutes and is appropriate for hikers of all ages and abilities. 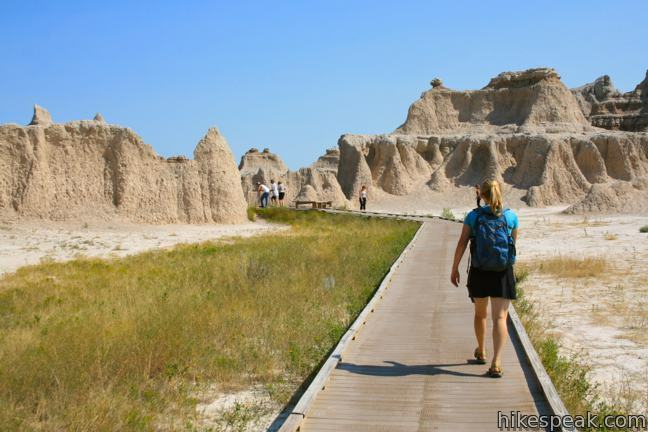 No permit is required to hike Window Trail, but Badlands National Park has an entrance fee. 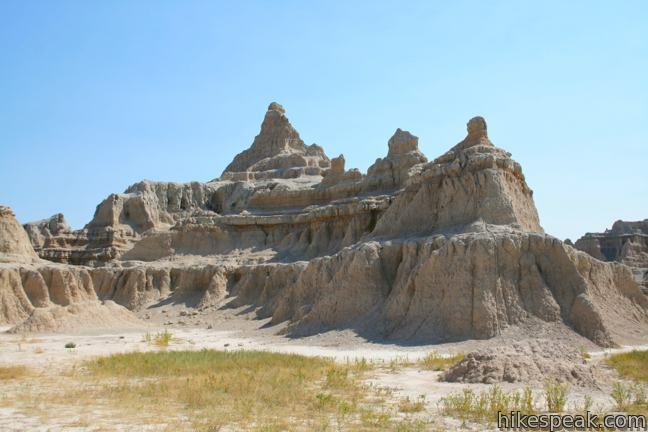 To get to the trailhead: Take Badlands Loop Road (Route 240) two miles east of the Ben Reifel Visitor Center to a large turnout on the east side of the road for Door, Window, and Notch Trails. Window Trail begins from the south end of the lot just above Notch Trail and heads east. Zabriskie Point offers a stunning panorama of the badlands near Furnace Creek.